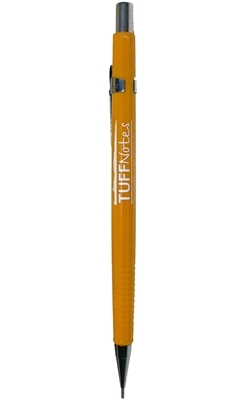 We are proud to offer the Pentel P209 Mechanical Pencil customized with the TUFFNotes logo. The P209 has .9mm lead. • Pentel's #1 selling mechanical pencil. Pentel introduced the first Sharp Automatic Pencil in 1962. Over 50 years later it remains a top seller and one of the favorites among mechanical pencil enthusiasts.